Enjoy a fantasy world on Beetle Jewels slots at Vegas Spins. This slot game is packed with high paying symbols, free spins and low stakes. 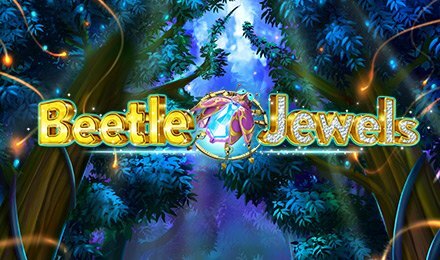 iSoftBet presents you Beetle Jewels slots. Encased with 5 reels and 10 paylines, the game is set in the middle of the forest where loads of treasures lay hidden in the dark. Your task is to find these treasures by setting your bet as from 10p and start spinning. The high paying symbols like the red and blue bug can award up to 500x by landing them on a single payline. Trigger the Free Spins Feature, where you’ll be awarded 10 free spins and expanding symbols.